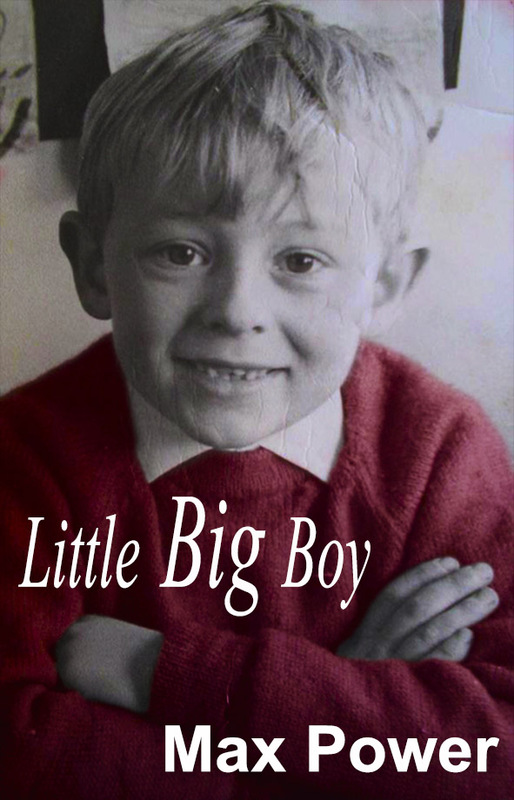 The publication of my latest book Little Big Boy, heralds the beginning of my next adventure. My fifth book will be my first attempt at a sequel (to Darkly Wood) so it presents a whole new challenge for me. Normally my books are very different in content and genre, so it is important for me as a writer to have a distinct voice that readers will identify as belonging to me and importantly, enable them to be drawn to my other books. So how do I do that? At a base level, each book comes from my imagination, so of course there is that common thread. But if you read Darkly Wood, Larry Flynn, Bad Blood or Little Big Boy and then read a second one from this list, you will begin to understand just how different each book is. In general terms, readers usually find something they like and go back for more. For me, because I switch theme and genre so much, I have had to find something else to connect my work. Now some of what I do is quite subtle, but here are more obvious devices that I use. There will always be a whiff of sulphur in a Max Power book. Danger inevitably lurks somewhere in between the covers. Darkly Wood should have you turning on the lights. Larry Flynn creates his own world of danger that spirals out of control. Bad Blood is designed to keep the danger at a high level from early on and never let up. Little Big Boy is about a small boy who lives a life surrounded by danger, real and imagined. I want the reader to root for him through his struggles. Of course I have blogged before about love or the absence of love, as being the true heart of my books. Darkly Wood, despite appearances is a true love story for me. Larry Flynn is about familial love, regardless of the Dublin gangsters and American politicking. Bad Blood certainly has love at centre of the book. It may not be instantly recognisable to everyone, but the blood in the title refers to family, again referenced by the strand of DNA on the cover. As for Little Big Boy, well that only arrived today so no spoilers, but this one has a small boy’s love for his mother as a central theme. Heroes are made not born in my stories. Daisy May, Larry Flynn, Martin Doyle and Little Big Boy. They all have to find out whether or not they have the courage within, to face whatever dilemma I put before them. None of my characters, major or minor are safe until the last page. I have killed off some fine people for the sake of the ultimate goal, which is to tell a good story and that is the key really. For me, it is all about the story. I want my readers to sit by the fire with me and then I want to begin to tell them all personally what I have in my head. To achieve this I write every single story, with a voice in my head as though I am telling it to just one person. I write for every reader but as I write, I am telling the story to that individual and I want them to feel that this story is especially for them. I am a very emotional writer. My books are character driven. That helps me to express the story and personalise it for you when you read it. I became quite frightened at times writing certain passages of Darkly Wood. There are parts of Larry Flynn that saddened and disturbed me, as I began to reveal the true nature of some of my characters. Bad Blood quite literally kept me on edge. Little Big Boy made me cry more than once and I hope those tears stuck to the pages. A final commonality is a sprinkle of fairy dust, but just a hint and only sometimes. It is most obvious in Darkly Wood, but there are soft sprinkles scattered through the other books also. There are certainly other little devices I use, but I think I have revealed enough of my secrets for now. If you have yet to be enchanted by Darkly Wood, shocked by Larry Flynn, excited by Bad Blood or brought to tears by Little Big Boy, then go on find a Max Power Book, dip in and hopefully you will see just what I mean. Little Big Boy tells the often harrowing tale of a small boy, struggling to cope in an environment of violence and fear, in 1970’s Dublin. All he wants is to be a big boy, but that comes with a price. At home, he faces an increasingly violent father and at school, he encounters new threats from other boys and more menacingly, from one Christian Brother in particular. In the midst of his turmoil, the one person that stands up for him and keeps him safe is his mother. But a series of seemingly unconnected events, conjure up a storm of epic proportions, with this little boy in its path. As I prepare to publish my fourth book entitled Little Big Boy, I have become hyper-critical as always of my latest work. It is a terrible affliction and I think it is born out of my fear of letting my work go. The final edit is almost complete and I have been drawn to consider my own writing style as a result of some correspondence with a fellow writer. In preparing a book for publication, there are many things to consider, not least how you will describe your book in summary to the world in the blurb and how to define its genre to help potential readers decide if this is the book for them. I find this particularly difficult because my writing is so fundamentally character driven. While I have my beginning middle and end, what happens, how it happens and how I develop the story, is something I largely hand over to the characters that I create in my mind. In little Big Boy for example, I was very much a seven year old boy, every time I sat at my laptop to tell his story from his very unique perspective. It is a sad and hopefully uplifting story and while I knew the ultimate destiny of all the characters in the book when I set out on my journey, some of those destinies changed, as I presented my Little Big Boy with situations that hopefully, most little boys will never have to face. Each dilemma that he faces in the book I faced also, because as I wrote the story, I became him in the moment. I allowed myself to react as my seven year old self would have reacted, had I been placed in the same situation and it was quite a harrowing experience. Of course I can remember being a seven year old boy and this helps. To get into the heads of most of my characters, the only way is for me to let my imagination fly. For those who have read Larry Flynn, they will know that while it is not written in the first person, the story really comes directly from inside Larry’s mind. That was a particularly difficult story to tell. I had to become Larry in my head and it was challenging to be such an intolerant, spiteful person. Yet that is how I do what I do. Daisy May in Darkly Wood, is as much me as is the darker character Woody in the same book. My writing is character driven, so how do I drive the character of a teenage girl like Daisy? I say my characters are me but I can’t be Larry Flynn, Little Big Boy, Daisy May or even James Delaney in Bad Blood can I? From my perspective as a story teller in many ways I am. Let me explain. There is one painful passage in Little Big Boy where my little hero is the victim of some terrible violence at the hands of his father. As I wrote this particular piece, the first thing I did, was to write and think of the event from the perspective of the father, despite the fact that the book is written in the voice of Little Big Boy. What I knew I wanted from that particular passage, was to express the fear and confusion that the little boy felt. However I knew that to achieve this without being one dimensional, I had to inject a taste of the spirit of his father. That made it more real for me. In telling one person’s story, I always want to also imagine how it is to be another. I wanted readers to feel Daisy May’s excitement at the anticipation of her first kiss in Darkly Wood but to do that, I needed the reader to sense what she was feeling from the boy she wanted to kiss. So while I often write from the perspective of one character, my plan is to always let the reader into the head of the other characters at the same time. I like to blur the lines between good and bad, happy and sad, love and hate. My challenge is to then step back and categorise what I have just done in terms of genre. Sometimes it is harder than one might imagine. I spend so much time inside the heads of characters, that I find it hard not to see the stories as anything other than an almost personal experience. It sounds a little nuts I know but that’s how I do things. 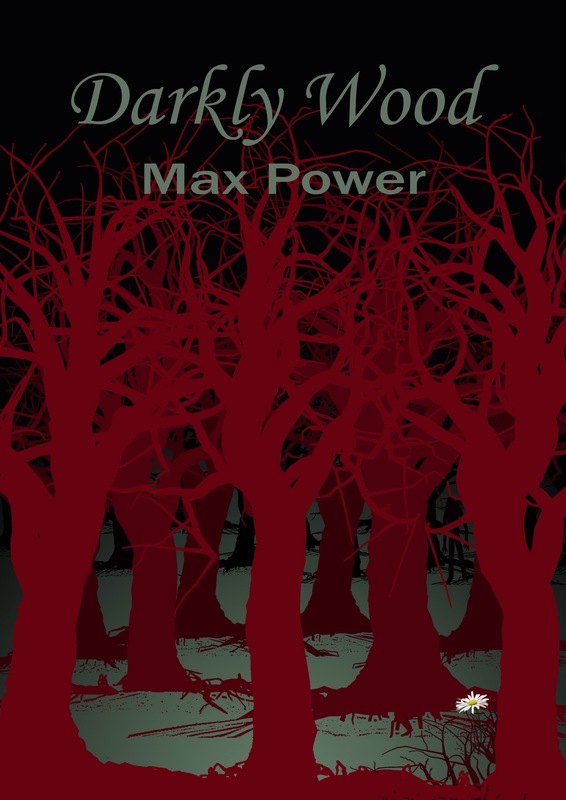 Darkly Wood is widely seen as horror in terms of genre, yet I wrote a love story. Larry Flynn it turns out is a thriller, yet I wrote a tale of sorrow, love, loss and regret. Bad Blood is in some ways a violent, serial killing thriller that is for me, a tale of morality, duty and family ties. Little Big Boy? I know what it is meant to be, but who knows what people will think. I can never tell in advance of a book launch how readers will react to what I have written. It often amazes me what people pick up on and I find it fascinating to see the perspective of others. Ultimately, all I am trying to do is to tell a story. All I really want is for the readers of my books to get to the end and feel that it was a story worth reading. So it is nearly time to let go, I hope it has been worth the wait.